Once you’ve found the perfect new Chrysler, Dodge, Jeep, Ram, you’ll probably be faced with the eternal question: do I finance or lease this vehicle? That’s where our Finance Department comes in. Our accommodating on-site staff is here as your auto loan and car lease resource. We can help you through the entire car-buying process, whether that’s showing you our latest lease deals and finance offers or helping you secure a car loan so you can drive off the lot and into Manitowoc in a new Chrysler, Dodge, Jeep, Ram. All types of credit, from good to bad, can qualify for an auto loan. No credit, no problem! We work with every shopper to find a finance plan that works for their specific financial situation. 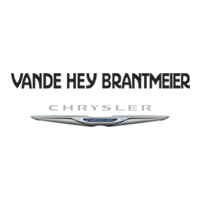 Vande Hey Brantmeier Automotive Inc has strong relationships and is committed to finding you the perfect car loan company to suit your car finance needs. Browse our new inventory and apply for car financing before you even walk into our Chilton dealership. Need help throughout the process? Check out our online monthly payment calculator for an instant car loan rate. Then, proceed to our online finance application. Feel free to reach out! We want you to drive a new vehicle you’re excited about that works for your budget.